Thank you SO much to everyone who supported our Dance A Thon. We raised $9233.40 and couldn’t be happier. The raffle prizes have been handed out and we are working on dates for the half day of play and Ms. Cameron’s day with her new office location. 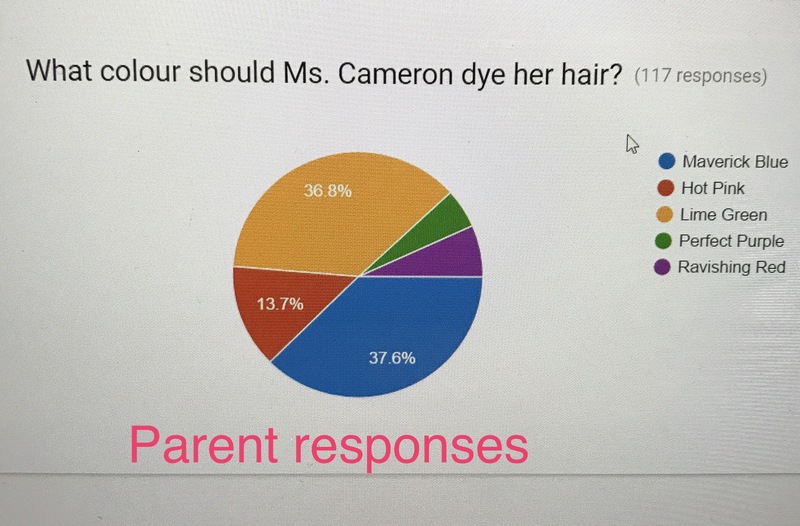 Results are in for Ms. Cameron’s new hair colour. Please see below for the graphs. 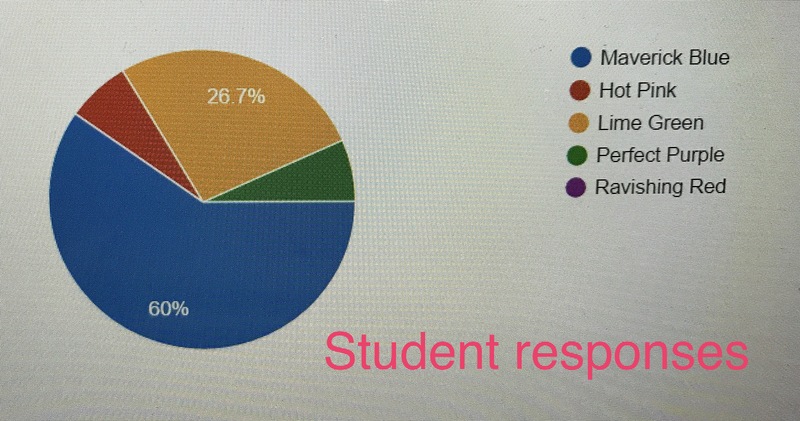 Parents… it was close… thank you to the 117 of you who voted! Way to show school spirit! Maverick Blue hair dye has been ordered.